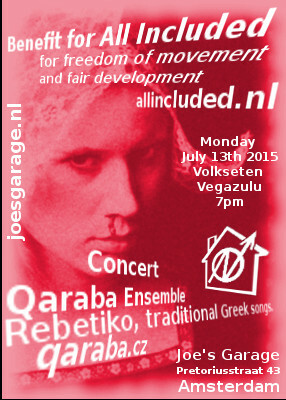 Monday July 13th 2015, Benefit for All Included, for freedom of movement and fair development! Volkseten Vegazulu, 7pm. After the voku, concert Qaraba Ensemble, Rebetiko songs, traditional Greek songs. 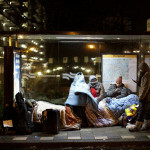 All Included Amsterdam is a new initiative that fights for freedom of movement and for the right of residence for migrants. In a time when globalization is a fact, migration should be recognized as part of a package deal. It’s All Included. 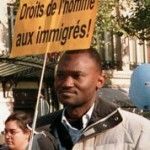 This means: no illegality, no detention for undocumented migrants and no forced evictions. With the disappearance of national borders, national identity disappears. Everyone becomes global citizen and deserves regardless of origin equal rights and equal opportunities. Therefore also for migrants ‘all included’ rights and obligations. Allincluded.nl fightsg for an open society through extra-parliamentary action which intervenes in the political climate of assimilation, closeness and fear. Through direct assistance to rejected asylum seekers and other migrants without residence permit, indictments against abuses of current polities are being propagated. We want to contribute to the public debate with alternative visions of migration and globalization based on open borders, solidarity and initiative from the base. After the food, concert with Qaraba Ensemble. Yannis Karampatzias together with Dine Qaram Baar and Charis Konstantinou, trio guitar, bouzouki and potirokoboloi. Qaraba was founded in 2012 in Prague by Yannis Karampatzias. He performs on a variety of Greek and Turkish traditional stringed instruments including saz baglama (taburas), lavta (Constantinople lute), tzuras and baglamas. In 2013 together with violinist Milan Jakes (CZ), guitarist Thomas Opata and Geraldine Baar on koboloi they formed the Qaraba Ensemble. The repertoire includes traditional folk music from the Asia Minor to the Black Sea focusing on melodies from Smyrna (Izmir) and Constantinople (Istanbul) of the early 1900’s, Rebetiko songs (undergound musical genre that was born at the end of the 19th century in hash dens and prisons of the Greek urban centers), Byzantine and Ottoman classical compositions emphasizing on the art of taxim (form of improvisation on non-occidental musical scales known as ‘makams/maqamat’). Volkseten Vegazulu is a people’s kitchen, every monday and thursday, 7pm, vegan food for 4€ or donation. All benefits go for social & political struggles. No reservation. We’re always looking for cooks. Any help is welcome in the kitchen. Experience not required. Enjoying it is a must. If you want to know which days are still available in the schedule, send an email to joe [at] squat [dot] net and book yourself the night. You can, of course, also participate by rolling up your sleeves and doing the dishes.